It's been a long time since Roland added to its GR line of guitar synths - about seven years in fact. Announced at NAMM 2011, the GR-55 is here to end that drought. Featuring a wealth of onboard sounds, plus a whole host of amp modelling options, this truly is a synth with something for everyone. Prices start at £599 for the GR-55S, going up to £699 for the GR-55K, which includes a GK-3 guitar pickup. 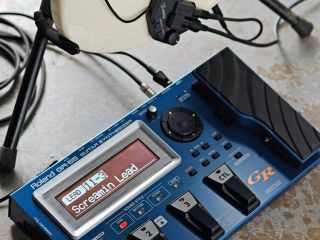 Check out the video demo above, and read Guitarist's Roland GR-55 review for more information.